For those of you that have never had a spray tan before, I’m going to impart a little knowledge to help you understand and prepare for what to expect from your tan. 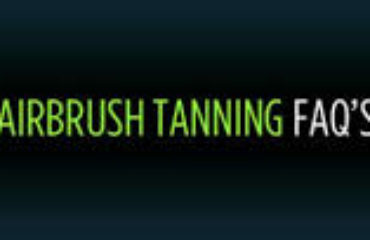 The part of the tanning solution that gives you the long-lasting tan is initially clear, so it has to stay on your skin for several hours so that it can process the top layers of your epidermis. The solution also contains an instant bronzer, so you can see the color immediately and know what to expect after you shower. Once the activation is complete, you can look pretty crazy since you are basically double tan. We always warn first-timers about how they might freak out when their tan starts to activate as the day goes on and they turn super dark, but it’s hard to describe just how dark they are going to get. I came across this article about Kim Kardashian tweeting a picture of her spray tan 8 hours after she got sprayed before she showered off all her bronzer, so I thought I would share with everyone to give you a better idea of what to expect if you’ve never been spray tanned before! I am a fanatic for celebrity gossip websites and magazines, and I am alway checking out celebs’ tans. Kim always has a nice bronzy glow, so these pictures go to show you that how you look before and after your shower are pretty different. FAQ: Will My Tan Stain My Sheets or Clothing?